While cleaning tile floors is still a chore most of us could live without, the evolution of floor care tools has made it easier and more effective than ever. Finding the best vacuum for tile floors, or the best steam mop if that’s your priority is now the challenge. For more on tile and stone flooring cleaning, care and maintenance click here. The good news is that you’ve got tile floor vacuum and steam mop options to suit your style, and we explore them in this guide to cleaning tile floors and other hard flooring. To jump to our vacuum and steam mop reviews click here. *This post was update in 2018 and includes a new tile vacuum review. This overview of tile floor vacuums and mops will assist you in selecting the best type for your cleaning routine. Below, you’ll find vacuum and steam mop reviews of the top products in each category. A multi-function vacuum: The best and most cost-effective machine if you’ve got carpet and hard flooring is an all-purpose vacuum designed for both. The upside is better value and the need for just one tool in the closet. The downside is that you must remember to turn off the rotating brush (aka brushroll or beater bar) before using it on hard surfaces to prevent scattering dirt before it can be vacuumed up and, worse, damaging your flooring. If the brush rotation cannot be turned off, the vacuum is not an option for tile or any other hard floor types. Also, if you choose a multi-function vacuum, select one with soft or coated wheels to prevent them from scratching your floors. 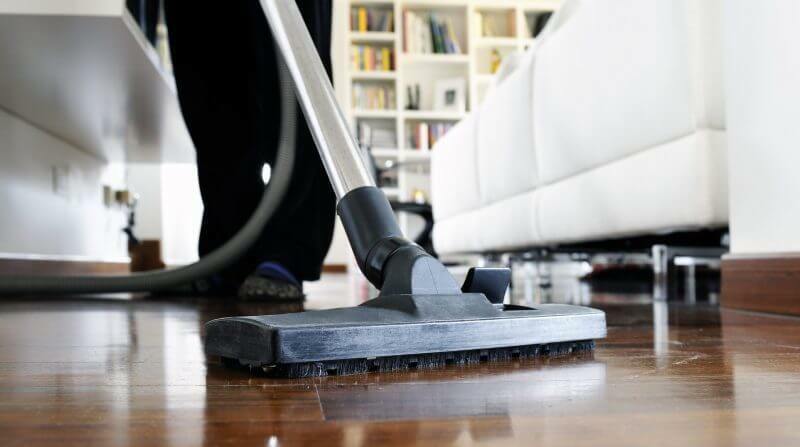 Click here for more on using vacuums on hardwood floors. Below you will see our top choice for a tile floor vacuum but you may also be interested in our reviews of the best upright vacuums currently on the market. A hard/tile floor vacuum: All the top manufacturers make vacuums designed just for hard surfaces. They are lightweight for easy use, and they don’t include a roller brush that might damage your flooring. The obvious disadvantage is that they are not effective on carpet. If you’ve got a method you are happy with for removing the loose debris and want a machine that will replace your mop and bucket, this is your best option. Most of these machines feature a water tank, heating element, replaceable pad to do the mopping and adjustable steam setting based on your cleaning needs. For most of these types of floor care tools, a tank of water lasts 15 to 20 minutes based on the steam setting. Steam mop advantages include no hassles with water buckets and the ability to both clean and sanitize floors. Most steam mops work with just water, but some users add cleaner too. If you combine a detergent with the water, make sure it is safe for the type of floor you’re cleaning. The manufacturers recommend using distilled or demineralized water in steam floor cleaners in order to prevent the buildup of mineral deposits that can harm performance and shorten the tool’s life. Also, the floor should be free of loose debris before using a steam mop. If the broom pad picks up excessive dirt or a small pebble, for example, the debris might very well scratch the tile and dull its finish. You can read our reviews of the best steam mops this year by clicking here. The better machines have small squeegees that direct the water to the vacuum. The obvious advantage to using a vacuum mop is that you get both functions in one tool. Separate tanks for clean and dirty water mean you’re always applying clean water to the floor. In a pinch, these machines can be used on carpet in vacuum-only mode, but they don’t work as well as vacuums designed for carpeting. Disadvantages of vacuum mops include the fact that they are heavier than single-function tools. Some users complain of leaking tanks or cheap wheels that scratch floors. Water is the enemy of poorly sealed tile grout, so be sure that you towel-dry any water not picked up by the vacuum. As with steam mops, only use cleaner formulated for the type of floor you have. Distilled water is highly recommended over tap water, especially hard water, for the machine’s long-term performance. Now that we’ve covered your options, let’s take a look at the top vacuum and mop floor care tools in each of the categories. This multi-surface vacuum weighs 14lbs. It is backed by a one-year limited warranty against manufacturer defect with typical residential usage. There are better warranties available on other units. A concern for some, especially those with allergies, is that the canister is bagless. Taking it outdoors for emptying will prevent dust and dirt from being reintroduced into your living space. This stick vacuum weighs 10lbs and costs about $50, a good value for the work it does. It’s backed by a two-year limited warranty. 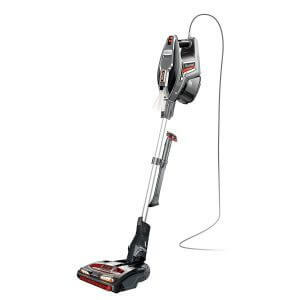 The Bissell PowerEdge gets high marks for the powerful vacuum suction that removes pet hair quickly and we consider it the best vacuum for tile floors if that is your main shopping criteria. The biggest negatives for many are the relatively short cord and the fairly small dirt cup that makes frequent emptying a necessity. Large amounts of pet hair can clog the intake port if it isn’t cleaned out regularly. The Shark DuoClean Rocket Ultralight Upright Vacuum has a slightly deceptive name because it is not a traditional style upright vacuum, but more like hand-held vacuum which can also be used in upright position. So effectively, and what’s great about it, is that you’re getting a two-in-one – a vacuum that’s good for flooring and that is also light enough for you to reach up and vacuum right up to the ceiling (if you really need to!). What stands out about this hard floor vacuum is that the double bristle and brushroll system of the DuoClean technology does a superior job collecting the fine dirt and debris that others miss; and the excellent versatility to switch from upright to hand held is a great bonus. 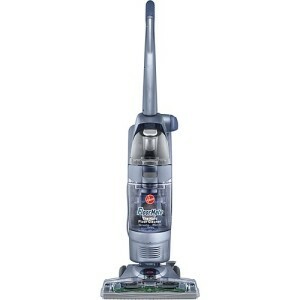 The vacuum is covered by Shark’s VIP Lifetime Service Guarantee, one of the best in the industry. 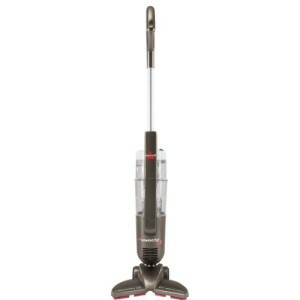 This vacuum also appears in our reviews of the top rated Shark vacuums. Bissell recommends that you use demineralized or distilled water only to prevent sediment deposits and that you do not use cleaners in place of or in addition to the water. The power cord is just 23 feet long, so changing outlets frequently may be necessary. Excessive use of the high-steam setting might cause damage to tile grout and hardwood flooring. Be sure to dry any water left behind during cleaning. 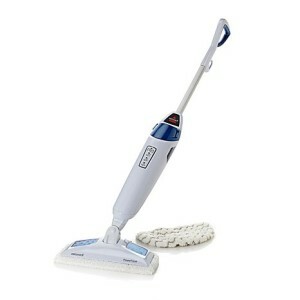 The Bissell Powerfresh 1940 Blue steam mop weighs just 6.2lbs, and it is covered by a one-year limited warranty. The cost is $80-$110 from various retailers. The vacuum, wash and dry functions must all be done separately, so while this unit saves you from buying multiple tools, it won’t significantly reduce your cleaning time. Another potential negative is that a small percentage of these units leak due to faulty gaskets. Hoover doesn’t discourage using cleaner in this machine, but be sure the product you use is formulated for your flooring type. Distilled water will keep the Hoover FloorMate working optimally for longer. 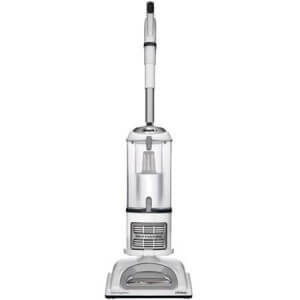 The price of the Hoover FH40010B varies widely from about $170 to less than $100. It’s a decent value at $125 or less. We hope you noticed that each of our reviews included the odd negative comment along with the positives. While we think the floor cleaning machines we’ve reviewed are among the best we encourage you to make a check list of features that are indispensable to your home floors and look for them when buying. These tips will also help you select a machine you’ll be happy with in the years to come. The more tile and other hard flooring you have, the more it makes sense to buy a high-quality floor vacuum or steam mop. Browse your tile floor cleaning machine options in light of your needs, and you’ll find the best tool for keeping your home clean and comfortable. For all our guides to tile and stone flooring click here. And you may also be interested in our guide to the best cleaners for laminate floors. Have we missed anything? Which model do you consider the best vacuum for tile floors? Let us know in the comments section below. I have a Hoover Floormate (FH40010B) but have the problem of the recessed grout areas too. I notice that the water will pool up in the grout lines while washing and then it just streaks it across the floor you’re trying to clean. I’m not sure what’s worse, since it defeats the purpose altogether. If you dry the floor while the streaks are still visible, it will just dry that way and you will still have a dirty floor. Most of my home is tile flooring; with the exception of wood laminate in the family and dining rooms. I’m giving up using the Floormate on the tile floor, searching for something that will work better. Meanwhile, I will attempt to use the Floormate on the wood laminate (being very careful of the water, since that will damage the joints. I have about 2800sq ft of tile and I use my floor mate continuously. Once in awhile if I use too much cleaner or go to fast it will leave a few streaks but it’s by far the best tile cleaner out there that I have found. I use the older style blue spin scrub and it’s amazing. Thank you so much for your fantastic input. I too have most of my home tiled and have been looking for a good product to use. I have looked at the floor mate and others but I finally feel this would be best. To others out there I strongly suggest that what ever you buy make certain the scrubber brush are those that rotate….the rotation works much better. We are ready to give our floormate away too. It streaks badly and the foot pedal for wash or dry does not work very well. We are looking at the Bissell floor cleaner.